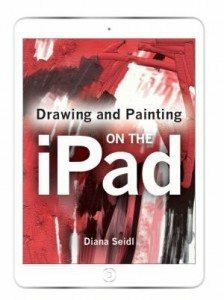 We’re pleased to announce the release of Drawing and Painting on the iPad by Diana Seidl, a dedicated ‘how to paint’ book focusing on ArtRage for iPad. It is available both as a physical book and as a digital download for the Kindle or via iTunes. Drawing and Painting on the iPad starts out covering the basics for true beginners to the world of iPads, explaining how to pick out your first iPad and stylus, and navigate to your first drawing apps, before moving on to focus on how to actually draw on the iPad with an introductory lesson on the Zen Brush App. 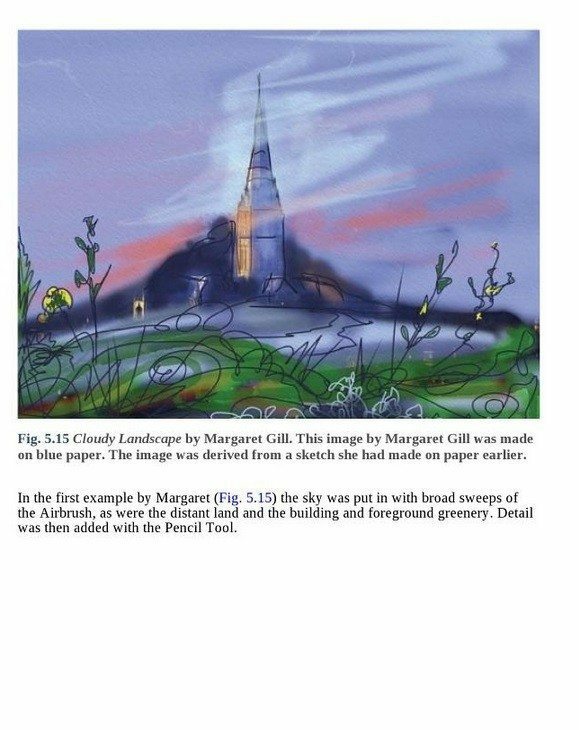 The remaining chapters focus on ArtRage for iPad (version 1.6), covering the wide range of tool settings along with lessons in composition, colour choice, and artistic theory. 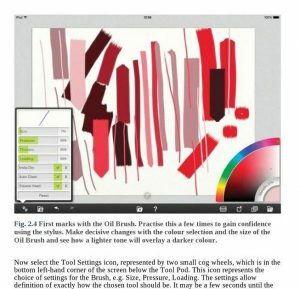 Along with tutorials on how to compose and create artworks, it also covers detailed tool settings, tips and techniques for ArtRage and other iPad art apps, as well as including a variety of art from different iPad artists. Take a sneak peek at some of the book’s contents! 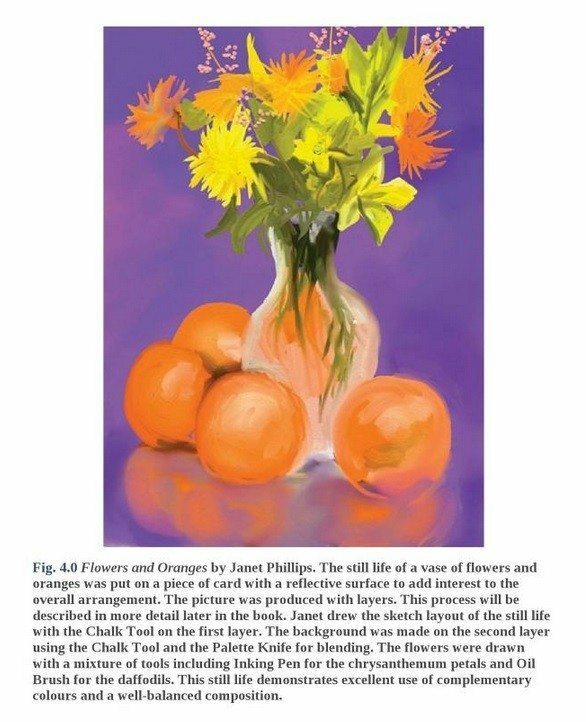 “Flowers and Oranges”, an ArtRage still life by Janet Phillips. 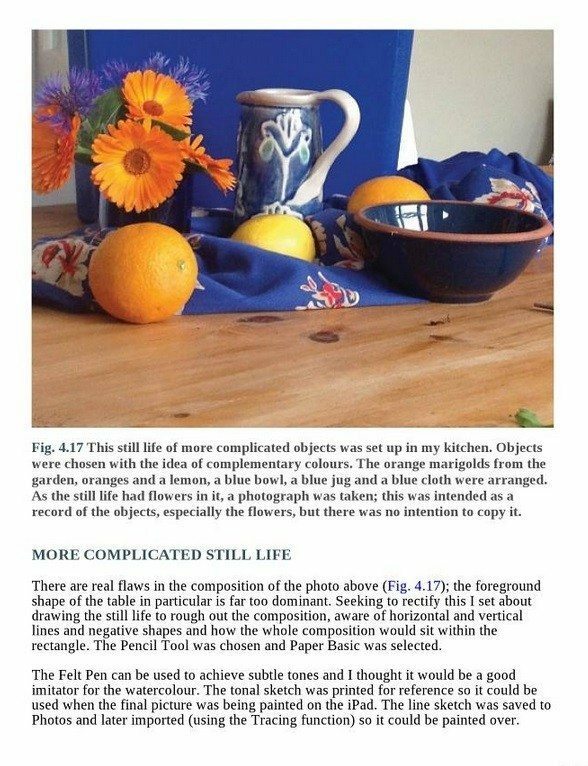 Part one of a Still Life tutorial shows you how to compose and draw from life. Part two of this Still Life tutorial walks you through the first sketches. 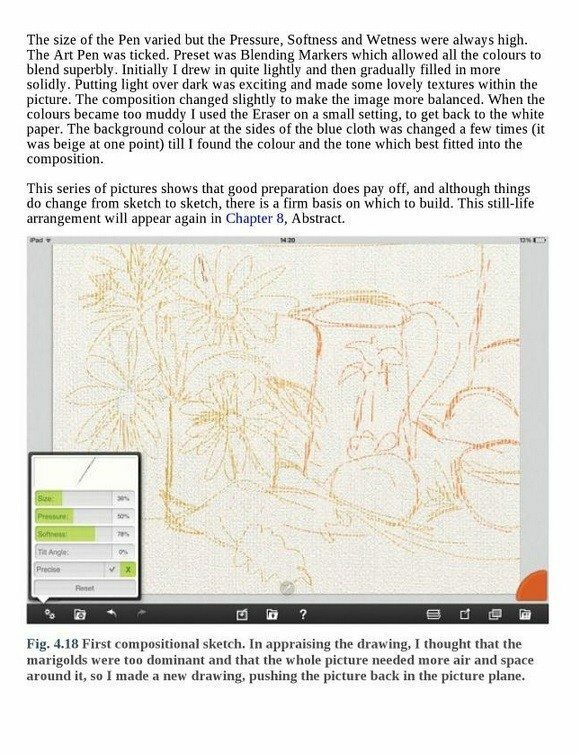 While it was based on ArtRage for iPad 1.6, rather than our just-released version 2.0, most of the tutorials still apply (the only significant changes are updates to the interface. The gallery looks different and has more options now, but you can still do everything the book explains how to do!). Disclaimer: While Ambient Design staff did consult on the book, we aren’t affiliated with the writer or publishers.